The competition amongst individual currencies is fierce, and one digital currency is looking to bounce back, hoping to hit the market value of $70. We are talking about Litecoin, which it has hit the $65 target and is progressing towards $70. Litecoin is a peer-to-peer (P2P) digital currency that enables instant, near zero cost payments to anyone living globally. The currency is open source, meaning global payment is fully decentralized without any central authorities. Litecoin is fast in terms of transaction and has improved storage efficiency. Litecoin has seen its ups and downs during the past week, which its price fell from $66.58 to $57.50 last week, then once again picked up volatility, going down without a fight and climbing once again. Litecoin has been progressing and has finally hit its $65 mark and is looking to reach $70. The factor of Litecoin’s growth is Bithumb, which is surging the market price value. Bithumb’s surge is almost twice that of GDAX and Bitfinex. Bitfinex is a digital currency that is based in Taiwan, owned and operated by iFinex Inc. This digital currency has been the largest Bitcoin exchange platform since 2014, with over 10% of the exchanges’ trading. Over and over, since our finances and currency is becoming electronic, the importance of security is essential in order to protect our money. So, more security and privacy is being established. Developers are now setting their sights on the Monero technology, integrating Confidential Transactions for Litecoin and Bitcoin. Monero is truly a respected altcoin globally, and with this protected transactions, developers are hoping that privacy will occur and that Confidential Transactions is a success. For now, we and developers are keeping an eye regarding how this new feature will be introduced in Litecoin and Bitcoin. The creator of Litecoin, Charlie Lee, looks forward to seeing how Confidential Transactions will run with Litecoin, and is a big fan of the Monero technology. Some information has been revealed regarding how the privacy transaction will be integrated, which will be completed through a future soft fork. With an added protection for transactions, and Litecoin on the road to $70, the digital currency is popular in South Korea, which the reason is because the major Korean exchange, Coinone, has added Litecoin to its platform this month. Upon the recent add, Litecoin’s exchange has reportedly processed $3.2 million worth during the last several hours of trading. Wondering why digital transactions need CT, reason is because the government will now not be able to track movements of currency or payments that are made between parties, facilitating shielding and allows transfer of currency across borders without ever facing scrutiny. How This Benefits South Korea? 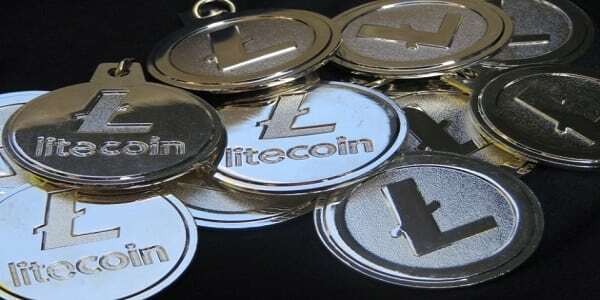 Now that the major Korean exchange has added Litecoin to its platform, truly it is much needed because Litecoin’s trading activities were virtually flat, with the price hovering around the $55 mark during the past weeks. Also, along with Bitcoin, Litecoin is a major trading hub, making it the largest exchange Bithumb accounts for, which is 25%. According to data charts and figures from Crypto Coin Charts, Bithumb is trading more than $580 million won of Litecoin each day. Since trading is high, adoption of other currencies like QTUM is in South Korea. QTUM is a blockchain project, allowing Decentralized Applications and Smart Contracts to execute as part of a UTXO transaction. Since Litecoin is once again booming in South Korea, it is all positive from here on because this digital currency is faster in terms of processing time, which Bitcoin is outmatched on this. Though it is booming, hopefully the trajectory continues, and Litecoin does not hit a roadblock and spiral downward.